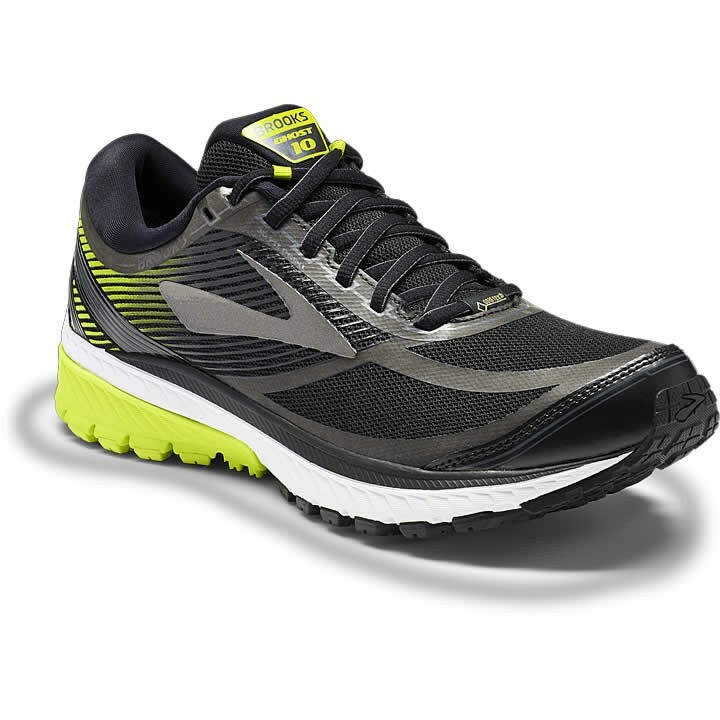 The men's Brooks Ghost 10 GTX waterproof running shoes offer the smoothest ride possible with GORE-TEX® technology, for neutral runners who want a plush, adaptable fit. Smooth, stable ride: The Segmented Crash Pad is designed to adapt to each foot fall, so no matter how your foot lands, you'll enjoy the smoothest ride possible. Soft, secure fit: The newly engineered mesh upper practically disappears on foot, with strategically placed stretch and structure where you need it.